Is it really as hard as it sounds? 1. Grow tomatoes from seeds indoors while it’s still cold outside. 2. Grow tomato plants in a greenhouse (find greenhouse plans here) or cold frame. 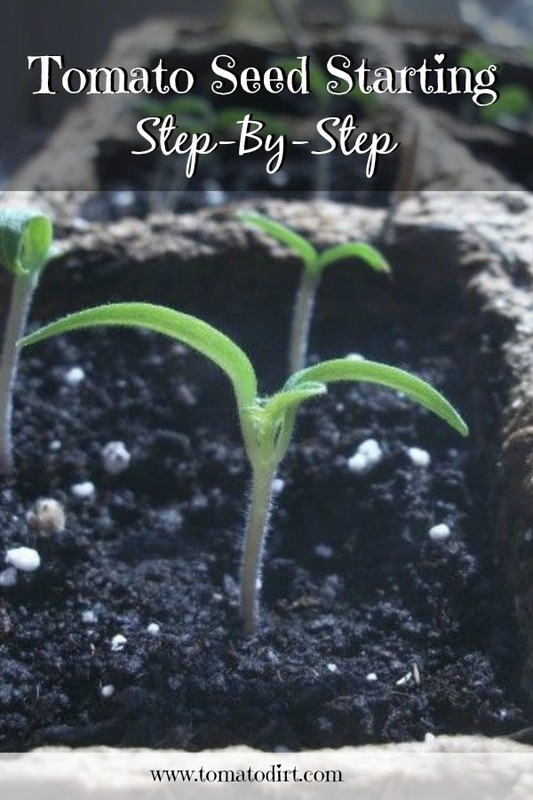 Growing tomatoes from seeds is easy. It just takes planning and a bit of stick-to-it-ive-ness. You’ll soon find out that you can grow tomatoes yourself for a lot less and they taste much better than what you find in the grocery store. Longer season. Start seeds sooner, seedlings germinate sooner, voila – plants produce tomatoes sooner and longer. That’s especially helpful if your growing season is short say, in the north. Cool spring temperatures slow germination or can kill young seedlings. An early fall frost can zap mature tomato plants. When you get a head start indoors, you max out production and get an extended tomato harvest. Cheaper plants. You can save money by starting your tomatoes from seed if you like to grow lots of tomatoes or if you like to try different varieties. You can also save money by making your own planting mix. Or you can buy inexpensive starter mix or seed starter trays. Bonus money saver: when you start tomatoes from seed, you get stronger tomato plants for less. More variety. There are more than thousands of varieties of tomatoes. It’s fun to try to new kinds! A cure for winter. A few weeks after the new year, my fingers are itching to dig in the dirt. Starting tomato seeds indoors takes the edge off. The first step you need to take to successfully grow a tomato plant from start to finish is to choose your tomato seeds. Take time to find out about different tomato varieties. Experienced gardeners order seeds from garden catalogs as early as December for the following spring. You can also find seeds online at seed exchange sites or from other avid gardeners. Nurseries and home improvement centers sell seeds, too. Check your local frost dates. Start tomato seeds about 6 weeks before it’s safe to set out plants in the garden. Your tomato seedlings will emerge in 5-10 days. You’re now in the “stick-to-it-ive-ness” period of seed starting. For the next month, you’ll need to check your new seedlings daily. Mist or water them regularly. Once they have 2 sets of leaves, re-pot them in 4-6" transplant pots to help them build strong root systems. Monitor them carefully to check for the biggest seed-starting problems, like tomato fungus (“damping off”), legginess, slow growth, and seed rot. As you harvest your tomato crop, save some seeds for next year. Have extras on hand to share with gardening friends. You might even inspire someone you know to give seed starting a try! 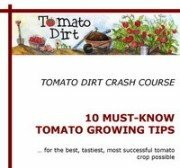 Sign up for the Tomato Dirt newsletter and get a free 20-page guide filled with tips for growing tomatoes! Can I germinate old tomato seeds?